Wanna build a Snowman? You don’t even have to go outside! 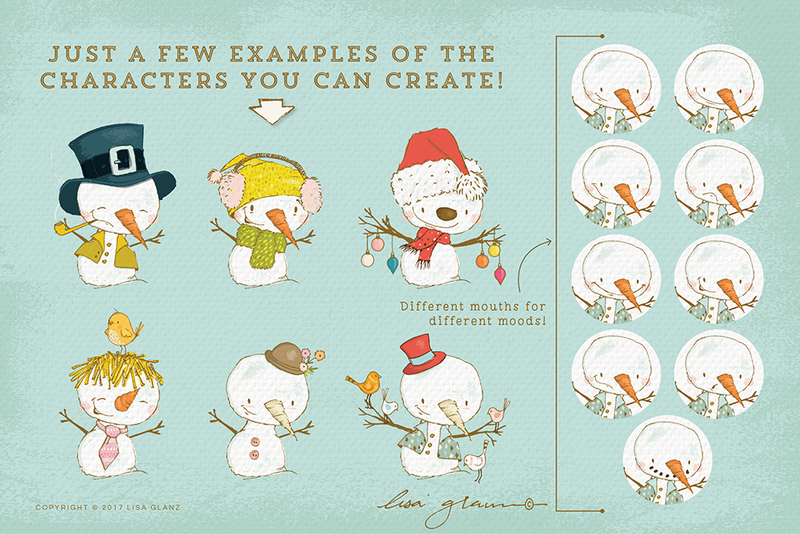 Build your own adorable winter snowman in just a few seconds! It doesn't stop there! Mr Snowman comes with a whimsical winter scene in both portrait and landscape. Perfect for greetings, posters and just about any creative project. Plus he has loads of whimsical friends you can add to create your own special world. With so many choices and characters, you’ll be churning out magical design projects in no time at all. Like all of your work this is adorable! THANKS for including the seperate png files! Love it! Yay! Thank you Megan!! So happy you already have plans for the kit 🙂 Enjoy creating your Christmas projects! Great package with so many possibilities. Thank you for the discount too. Thank you. I seriously love everything you make. So creative. Thank you so much Sheri! I really appreciate your purchase 🙂 Hope you have many hours of creative fun with the kit. Thank you Lisa, for all your help! You are as lovely as your creations. Aw!! You are so generous and kind to say that! Thank you so much 🙂 I hope you enjoy creating with the set! Thank you so much for your purchase, so thrilled to hear you are loving the collection. Have fun creating your snowman! Aw! Thank you so much Bernadette! I’m so thrilled to hear that. I’m glad you find the other little characters useful, I try and create a little magical world with my sets so others can enjoy using them. Happy creating your winter and Christmas projects! Thank you so much! Glad you like the set 🙂 Hope you enjoy building your snowman! Thank you verry much for your amazing collections! I love them! 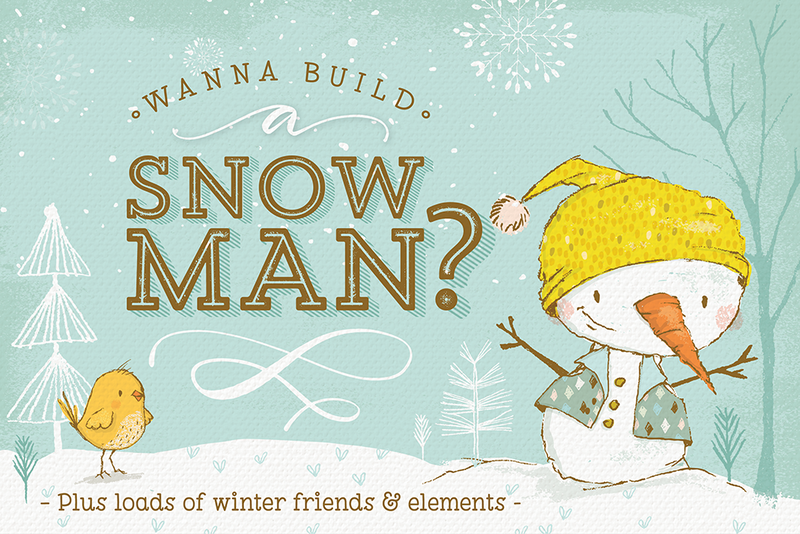 Building your own snowman couldn't be easier! 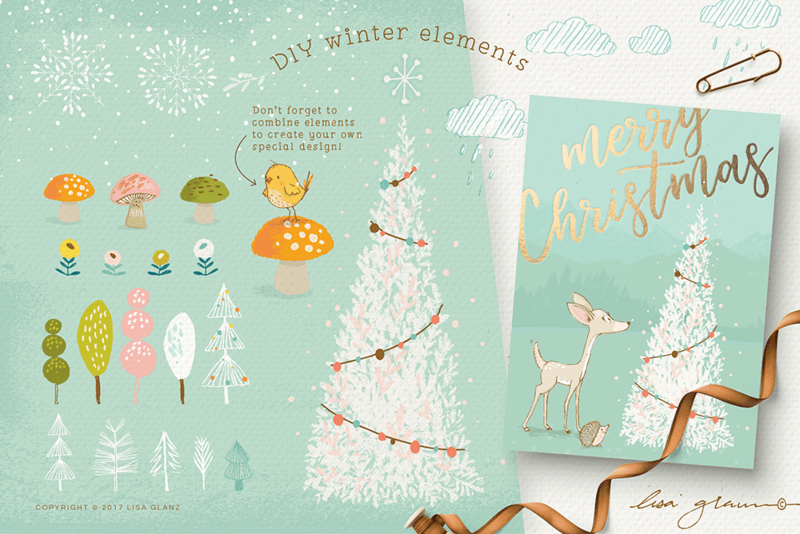 This graphics kit is filled with whimsical characters and winter clipart elements. 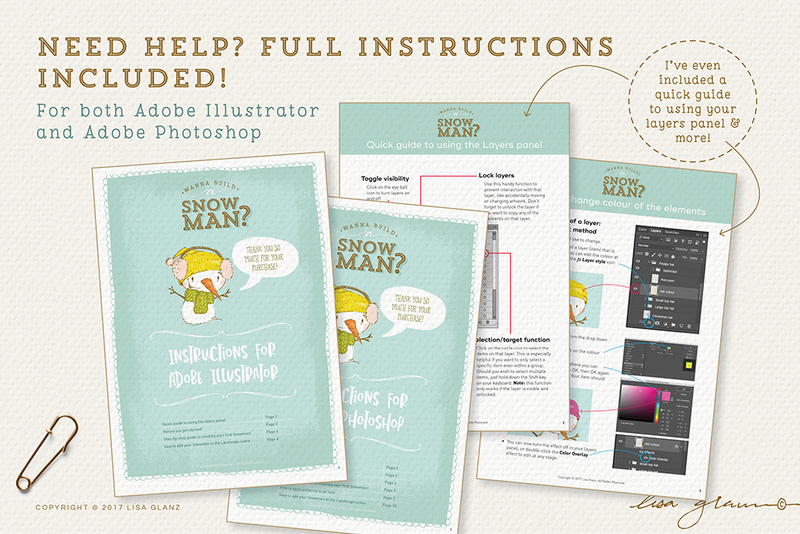 The Snowman Builder is available for both Adobe Photoshop (PSD) and Adobe Illustrator (AI), full instructions included. If you are a non-Adobe user but have other software that supports PNG files, I have also included each layer as a PNG file for you to import into your software - basic instruction included. Raster files available for Adobe Photoshop CS3 and newer. The Creator is a PSD file. Patterns are 12" x 12" 300dpi PNGs. All extras are 300dpi PNG files.